What a difference color makes both in card stock and lighting. Normally I would not photograph in such different lighting situations but I tore up the white card to make the “hot” card and couldn’t duplicate the lighting or the backgrounds. 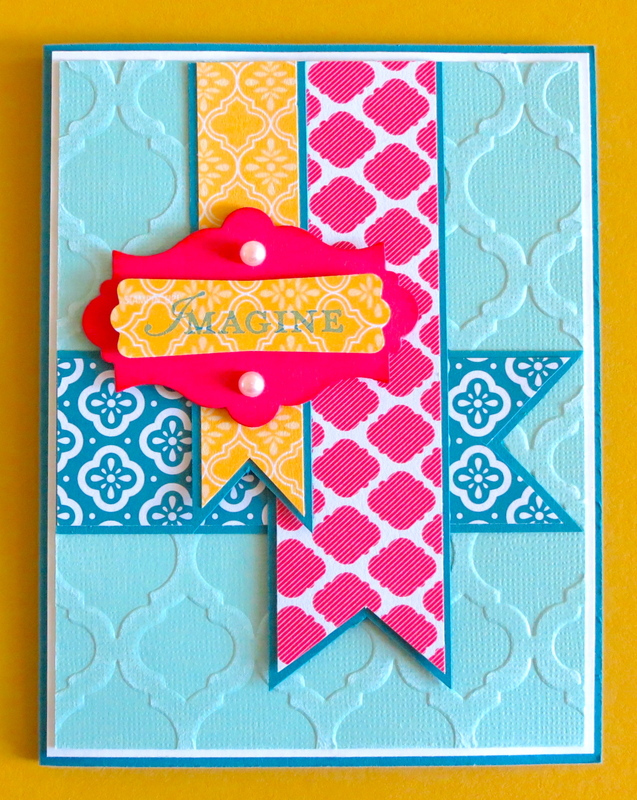 I did made a few changes on the second card…rounded the corners and added the pearl to the focal point. I like both…which is your favorite? Remember, Stampin’ UP! has a special offer for Designer Series Paper…buy 3 pack and get 1 more for FREE. What a deal! See pages 150 – 154 in the Stampin’ Up Catalog to see all the beautiful papers. Click HERE to Shop Online. I love the Designer Series Paper in this year’s Annual Catalog. 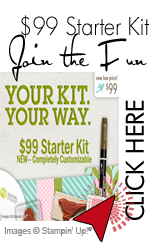 If you’ve been trying to figure out which papers you want to purchase – well, Stampin’ Up! is making it easier for you to narrow down the list. Pick four – and pay for three. Pick eight – and pay for six. Do you see how this works? Look on pages 151,153 and 154 of the Annual Catalog and start picking your papers! *Specialty DSP and Paper Stacks are not included in this promotion. This offer runs through July 31. Don’t miss out! Click HERE to Order Online. Let’s Hear It For Banners! I love banners! So when I saw this layout on another card, I knew I was going to have to use it. So with changes, I hope I have made a card that lives up to the sketch.